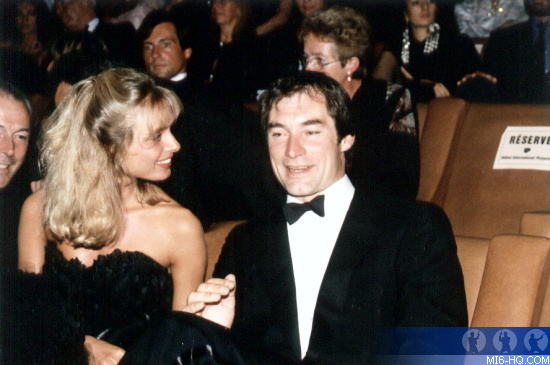 It was with both excitement and nerves that Bond producers, their new 007, and supporting cast attended the premiere of 'The Living Daylights', held at the Odeon Cinema in Leicester Square, London on 29th June 1987. It was an event that also marked 25 years of James Bond on the silver screen. 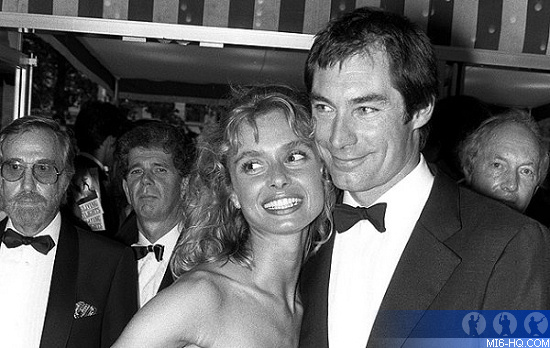 In attendance at the Royal Premiere were the Price and Princess of Wales, Charles and Diana, who met Timothy Dalton and Maryam D'Abo on the red carpet. The Royal couple had famously visited Pinewood Studios to meet the cast and crew a few months prior when John Glen and his crew were shooting sequences set inside Q-Branch involving Desmond Llewelyn and the new Miss Moneypenny, Caroline Bliss. At the premiere Bond stunt double Simon Crane abseiled from the balcony of the Odeon to much applause. Thames Television deployed their daytime presenter extraordinaire Nick Owen to present alongside Lois Maxwell, who had played Miss Moneypenny in every official James Bond film until now. Nobody seems to have brief Owen on how 007 is pronounced, and Maxwell can be seen at times to be openly unhappy about the recasting of the role.